Lighting Protection Systems consist of a series of components, typically a conductor generally placed at the most elevated area of a structure. It is electrically bonded to force a lightning strike to be conducted to the ground earth pits, instead of causing significant damage by passing through the structure itself. 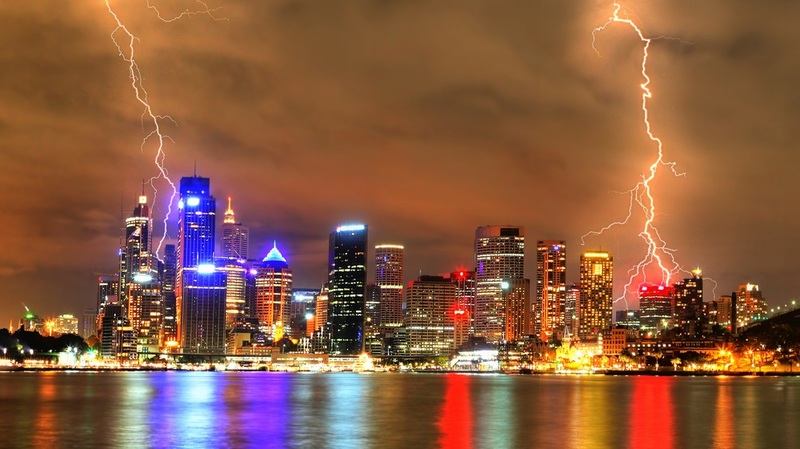 Heightsafe Systems undertake Lightning Protection installations nationwide to many industrial, commercial, educational and healthcare structures. Heightsafe Systems will undertake a risk assessment in line with BSEN 62305 (a four part standard first introduced in 2005, but revised in 2011 for easier reference), to assess the requirement for a lightning protection system, and to what level one would be required. This includes looking at the soil resistivity and provide solutions where areas of ground quality are poor. In deciding whether a structure requires a system, you must consider that failure to provide this protection, could result in insurance policies becoming invalidated, apart from the obvious physical damage to people, structures and business continuity. Our work is planned and carried out in accordance with the most stringent health and safety guidelines, with particular focus on minimum disruption and aesthetics. Heightsafe Systems have been entrusted with some of the most historic and commercially sensitive buildings in the UK, churches, schools and housing developments.